Home NYSC Official Updates Can a Corper Be Posted to a State Not Selected During NYSC Registration? 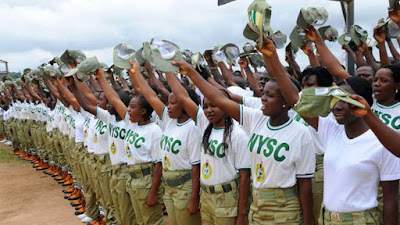 Can a Corper Be Posted to a State Not Selected During NYSC Registration? You’re on the right page if you’re finding answers to this question: can I be posted to a state I didn’t choose for NYSC? I’m writing this post after I had got about ten cases to buttress my point. During NYSC Mobilization registration, each prospective corps member will be required, of course, to select 4 states among the 37 states of the nation including the Federal capital Territory – Abuja. These states were categorized into four; mixing a bit of south west with south-east, north-central with southeast etc. In other words, the 6 geopolitical zones are regrouped into 4 for NYSC choice of states. What matters is you’re to choose four states. Can you Fall Outside this State Selected? Now that, you’d got the four states you preferred, is possible to still be posted to a different state entirely different from the ones chosen. Like I said earlier, I had got not less than ten cases by now. In case you don’t know. I’m a café manager in Osun State. I own and run a NYSC registration centre for about a decade now. Think of how resourceful I might have got till date. Just now, a lady left my office. Immediate she saw Adamawa, “I didn’t choose that”, She exclaimed. During the registration, she chose: Kano, Kwara, Ogun and Edo (an in that order). She did her registration here. I had recorded a score of this case in the past. But when you’re not a victim, it’s easy to think that NYSC will definitely send you any of the 4 states you’d selected. Therefore, you may be posted elsewhere. But this case is just 1 out 10.